If you suffer from sleep apnea, a very serious health problem in which your breathing is interrupted while you sleep, there are several treatments that can help. These include therapies, surgery, and alternative treatments. Doctors must determine the level of severity of the illness and the cause of the condition prior to choosing a treatment option. In mild forms of sleep apnea, doctors may treat the condition by encouraging you to lose weight, stop smoking, and exercise. These are often the first steps in any treatment regimen. If the condition doesn't improve, doctors may need to move on to more extensive treatment options. In many cases, doctors recommend an external device to help keep the airway open. The following options are popular and effective for many patients. 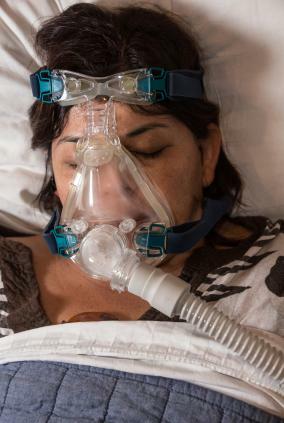 For patients with obstructive sleep apnea, the most common type of sleep apnea, doctors generally start with Continuous Positive Airway Pressure, or CPAP, devices and then move on to other options if the CPAP device isn't effective. This device administers a steady flow of air into the air passageways. This is done by increasing the air pressure in the airways, through the use of nasal inserts or a mask placed over the nose. The amount of air pressure delivered is determined by your doctor. The upper airway passage remains open by the pressure, allowing for better sleep. In some people, the CPAP mask is uncomfortable or the CPAP device does not do enough to keep the airways open. For example, a common problem for CPAP users is the inability or the difficulty of exhaling against the inward pressure. In these situations other airway pressure devices are available such as the BiPAP machine, or Bilevel Positive Airway Pressure device. This device works by applying more pressure during inhalation and less pressure for exhalation. Oral appliances are designed to fit the person's mouth individually so they can keep the throat open during breathing. For example, some will accomplish this by bringing the jaw forward. These devices are often available through dentists. In some patients, the use of devices doesn't provide enough help, but surgery can offer a solution. There are several options for doctors to select. Uvulopalatopharyngoplasty, or UPPP, is a surgical procedure in which the doctor removes any tissue near the top of the throat, which may include your tonsils and adenoids. This is not always the best surgery for treating sleep apnea because the problems may be deeper into the throat. However, this surgery may relieve snoring. This surgery moves the lower and the upper jawbone forward. By doing this, more space is created behind the tongue. This makes it more difficult for the blockage of the airway to occur. Other surgeries are available if there are polyps in the throat. Additionally, in severe, life-threatening conditions, doctors may also perform a tracheotomy to open the air passage from the throat. Sleep apnea alternative treatment options can help to alleviate some of your sleeping problems as well. Lifestyle changes, homeopathy, and other alternative treatments may be effective. Because sleep apnea can be life-threatening, always talk to a medical doctor about alternative treatments. Get off your back. Changing sleeping positions can help to open the airways better. Try to sleep on your side or on your stomach instead of sleeping on your back. Limit alcohol. Monitor and reduce the use of alcohol and medications at night, which could cause the muscles to relax. This includes sleeping pills and tranquilizers. Another alternative treatment for sleep apnea is homeopathy. In homeopathy, sleep apnea is considered a sign of loss of energy. Often, diet is the first consideration with the removal of sugar and other potentially allergic foods. To learn more, visit a homeopathic practitioner in your area. Try salt water gargles at night. It can reduce the size of the tonsils, improving airflow. Use an air humidifier at nighttime to make the air moister. Avoid foods that produce mucus, including dairy and fruits like bananas for a period of two weeks. Symptoms may stop. Then, reintroduce them singly to see if symptoms come back. Chromium may be helpful in regulating insulin, which can improve sleep apnea. Acupuncture may be helpful for improving sleep apnea. These treatments may be used in addition to traditional therapies. However, you should talk with your physician before trying any of these to treat your sleep apnea. Left untreated, sleep apnea can cause a variety of health concerns, including heart disease, high blood pressure, and heart failure. Getting proper treatment from your doctor can help you to overcome this condition. Sleep apnea treatments can be highly successful at treating the illness, and it may take a combination of treatments to find what works best for you.